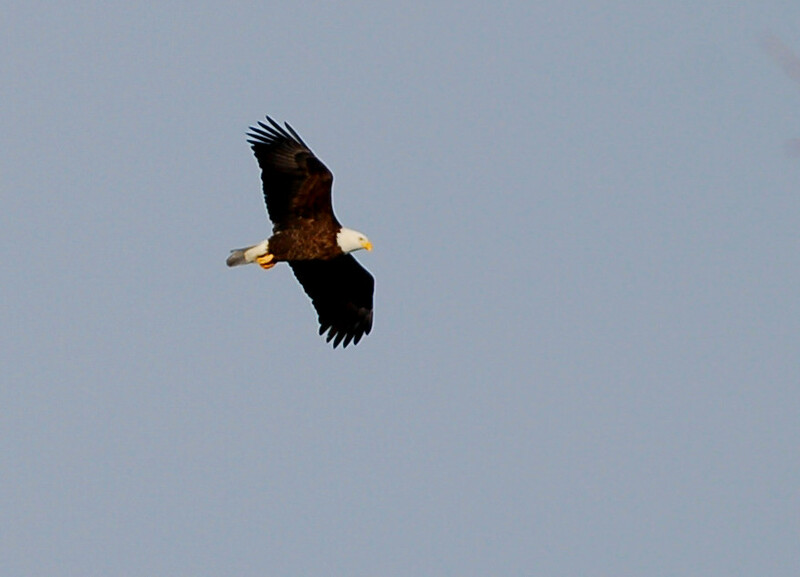 I had seen eagles yesterday and I was without a camera. 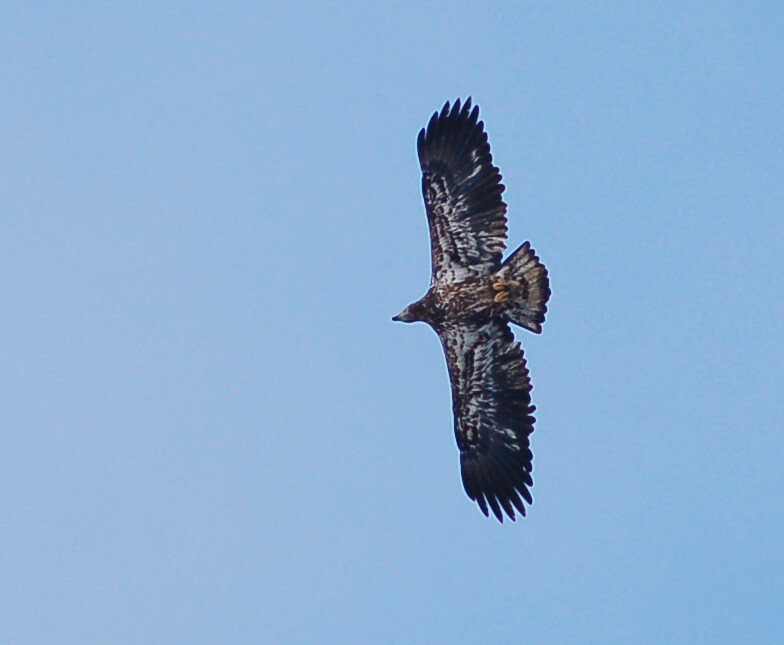 I had seen three mature eagles and three immature eagles. This morning as I saw the sun beginning to show through the clouds I knew this would be a great photo day for the eagles. 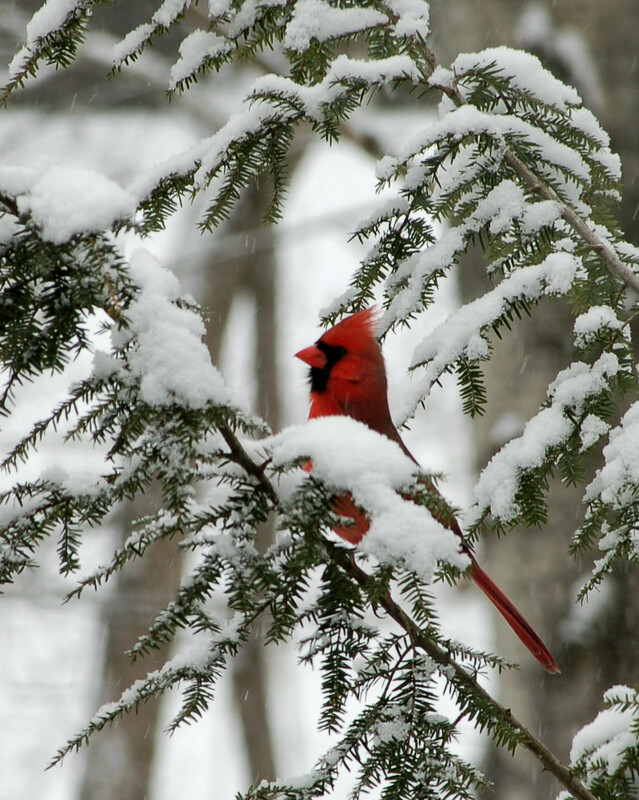 Of course, I hoped the big birds would, also, be present at the same locale. I wasn’t parked for a minute when I saw an immature eagle. 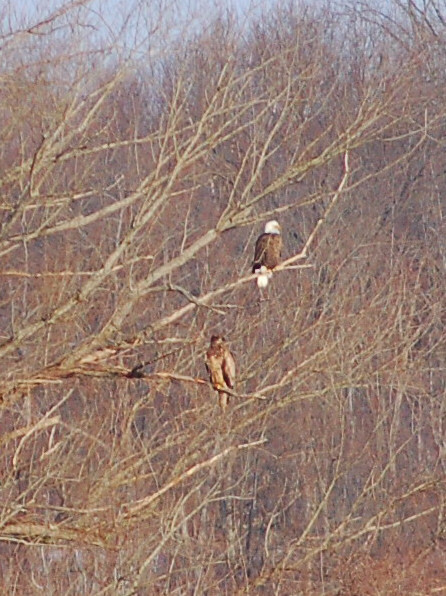 As the n morning evolved I would see two mature and two immature eagles at various opportunities. I wished I could get closer to the areas they were “sticking” too. I walked across some abandoned railroad tracks on the remnants of a long ago bridge. 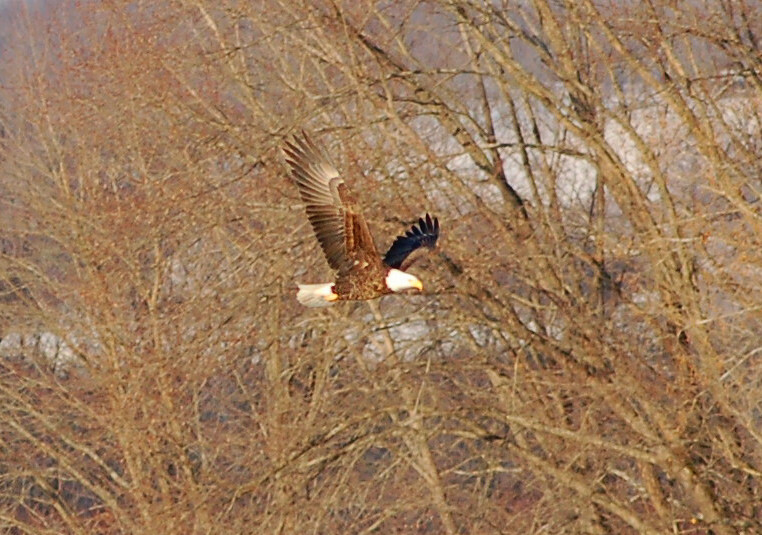 I stood around watching and trying for pics as any eagle presented a chance for a shot. Occasionally, the roar of ice cracking could be heard. The winds flowing across the ice and open waters quickly chilled my old body despite I had planned for it and dressed for the cold. Other birds were present all morning as well. I saw crows and gulls sweeping the ice and open waters in search for food. The eagles, too, occasionally would dive towards the open water and grab a small fish. Unfortunately for me much of the eagle’s fly time remained high in the sky. I haven’t been out walking much as of late. The few I have completed were recent and not of long duration. A few have asked about the lack of entries. I have been busy on a remodeling project and we have had some very cold temperatures over the last month. The snow has been on ground a long time and I have concerns of aggravating my leg again. The pain has greatly subsided and fears of pushing myself in the deep snow has been on my mind. 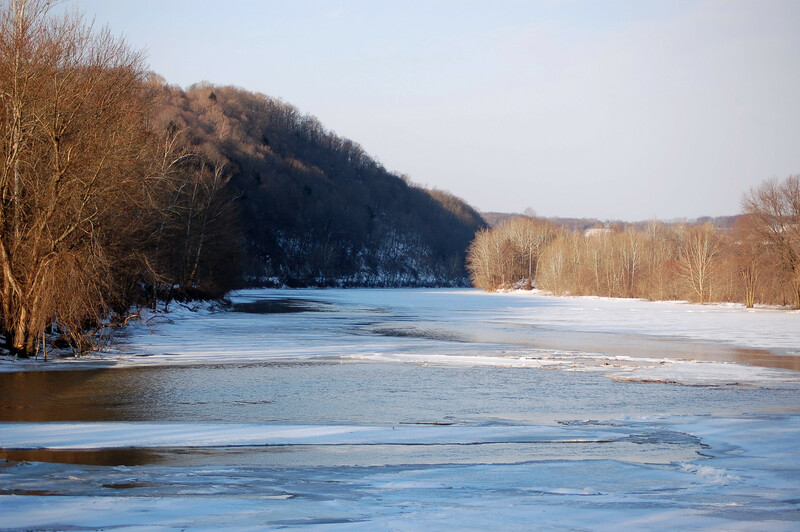 Today, however, I decided to do some walking the Allegheny River in search of eagles. I watched the trees as I drove along hoping to spot that dark body and white head. This failed. 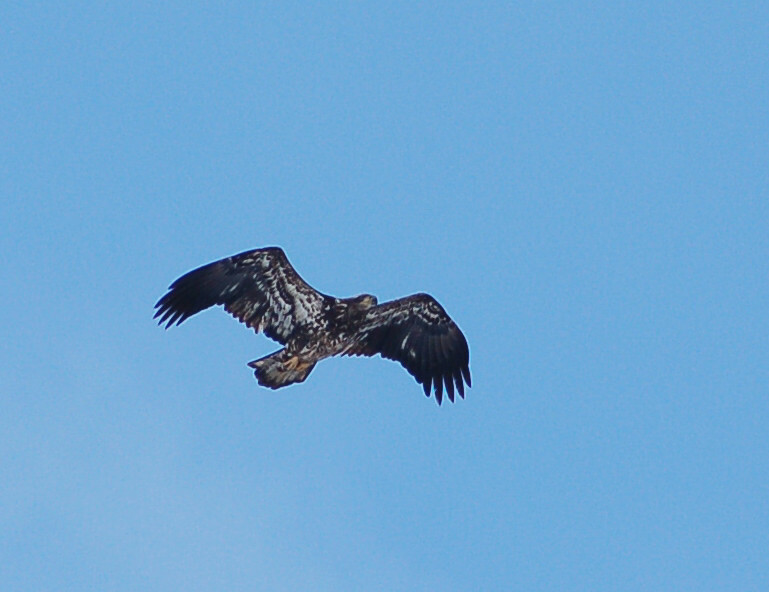 The walk along the shore where breaks in the ice did provide some shots of an immature eagle. The big bird was curious about my approach. 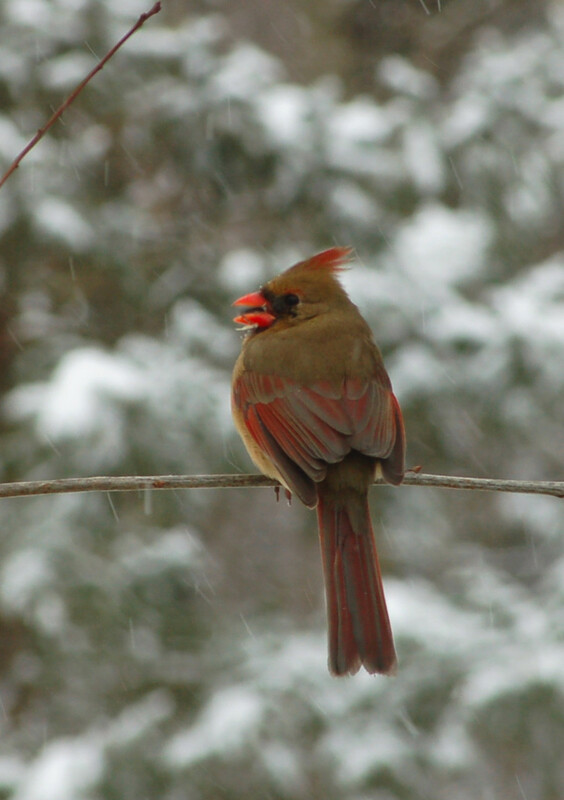 Male cardinal from an earlier walk. 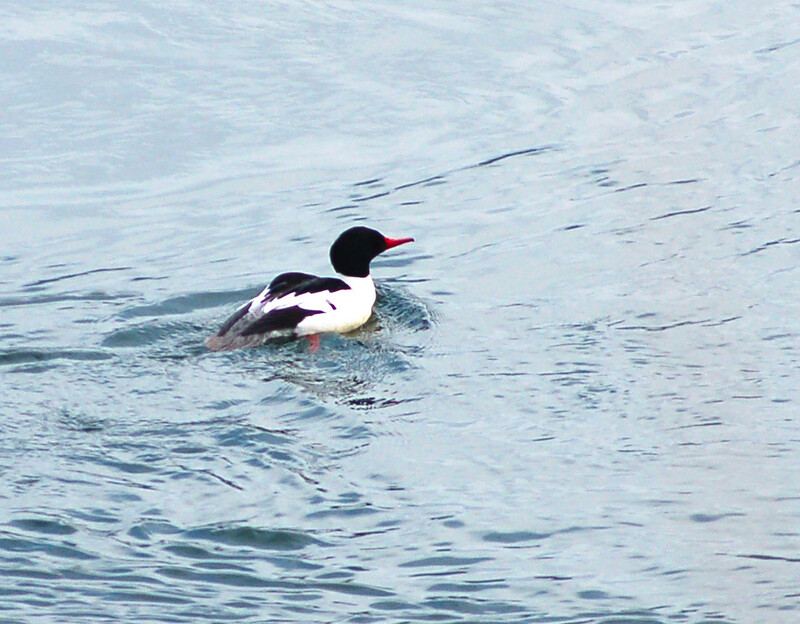 I did see one deer and lots of mergansers this morning. I was blessed to see another waterfowl specie that is not common in this area. 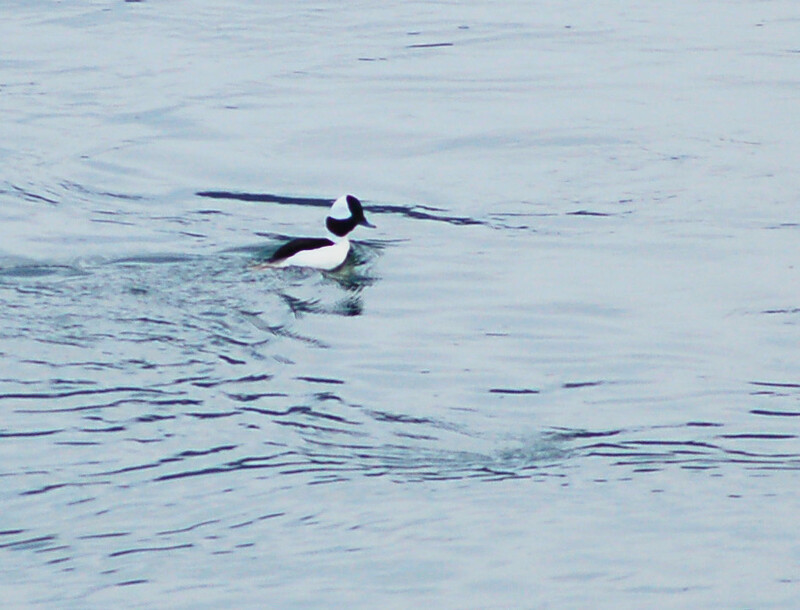 The duck was a male Bufflehead.